Do you want to offer your students the possibility to improve their English skills in a creative way during the school year? Do you want to make your school stand out from the crowd, enhancing your pupils key life skills and enriching your schools reputation? THE ENGLISH & DRAMA WORKSHOPS. This project aims to let children explore the English language through interactive sessions. Drama has always been an excellent tool to help people overcome their inhibitions when speaking a foreign language. We ensure that our workshops are suitable for all pupils to partake. 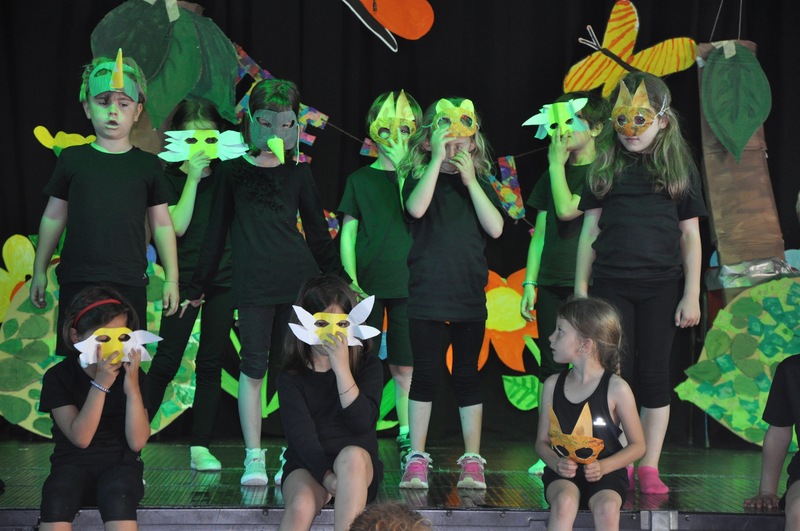 We work together with the pupils on a well know story or subject in a fun and engaging way. Our workshops encourage the pupils to work cohesively and creatively, which in turn, helps to promote the pupils vocabulary. Our Teachers are checked by the British police through the ‘Disclosure and Barring service’ to make sure that they are suitable to work with children. 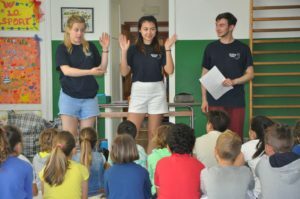 They are trained to set up amazing workshops with games and activities; which encourage them to explore the use of the English language (including songs for the younger children). Art, storytelling, role-play, singing, dance and flashcard games are some of the tools teachers use to involve all the children. There are a lot of topics you can choose from to develop the workshop which combine both the schools and students’ interests for example: Pirates, the environment, London, planets etc. Stories can range from traditional through to classical stories such as for Primary age: Little Red Riding Hood, Snow White and the seven dwarfs, The three little pigs and Aladdin. For Secondary age: Oliver Twist, The Emperors new clothes, Romeo and Juliet and Hamlet. However, the topic, story and the activities within our workshops can be adapted and tailored to suit the needs of the school and its pupils. 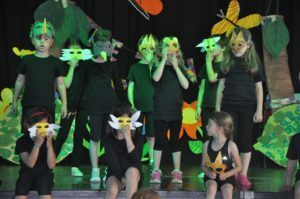 We guarantee a lot of fun and ensure your school and its pupils will not be disappointed. Make your school stand out, give your students the best opportunity to learn English! One English mother tongue teacher from the UK working with a maximum of 300 students throughout the week in classes of up to 20 students at a time for a duration of 2 hours per class. One English mother tongue teacher from the UK working with a maximum of 20 students in the class for the whole week with the support of their class teacher. The students will have an hour of sport, art, drama and English per day. Working on a ready made script based on a story or topic that is agreed in advance with the school. Performance on the final day. One English mother tongue teacher from the UK per 2 hours session working with a maximum of 20 students in the class with the support of their class teacher. For details about dates and prices please don’t hesitate to contact us at the following email address: info@actionittheatre.com.